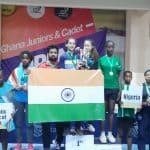 We, at AVM Bandra West, are extremely proud of the outstanding achievement of our budding world champions Diya Chitale (Std-X -Batch of 2018-19)and Ananya Chande (StdVIII) who made a mark in the Ghana Junior & Cadet Open , a ITTF Junior circuit event , clinching Seven Gold , Three Silvers and Two Bronze Medals in April 2019. 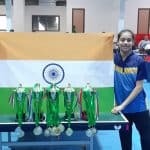 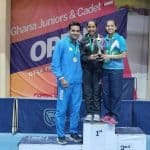 Diya Chitale and her partner Prathna from Mauritius won the Gold medal in Junior Girls doubles and team event respectively. 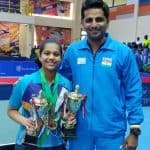 Heartiest Congratulations to both Diya and Ananya!